Is it normal to experience so many network downtimes and system delays? Could our organization be more productive and efficient with better or different technology? Is our network as secure as it can be? Do our employees understand how to use our technology safely and appropriately? Are there technologies out there we are unaware of that could help our business achieve more success? Should we upgrade to a new operating system, get new software, purchase company smartphones for employees, etc.? Should we outsource our IT support needs in order to enable our employees to focus more on the day-to-day operations of our business? Are we prepared to recover quickly in the event of a disaster? Are we backing up our data often enough? Is it secure? Should we move to the cloud or get a new on-site server? Organizations of all types and sizes searching for IT support in Hoboken, NJ, find that we can help them answer all these questions and so much more. Our job is to help your employees do their jobs faster, better, and with fewer headaches. We make sure your organization is leveraging computer technologies in the most effective ways possible, so that, from the top down, your entire team can focus on your business' core objectives, and increase the speed and efficiency with which they operate. 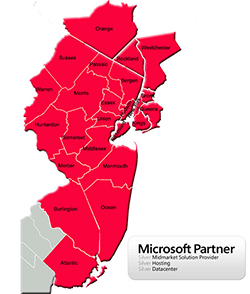 The truth is, every kind of business out there can benefit enormously from receiving a comprehensive technology analysis and ongoing IT support in Hoboken. Our highly trained team of technology experts can not only advise you on what you can do to make your network, data, and machines better, faster, and more secure, but we can help you keep them that way, performing regular updates, patches, backups, and analysis to ensure your ongoing operational efficiency. With our vCIO services, we can even take a seat at your planning table to make recommendations on technology decisions and purchases that can help shape and support your organization's strategic plan. Ready to find out how to take your organization to the next level? Call ICS today to schedule a consultation for IT support in Hoboken, NJ.